An immensely powerful debut album where classic rock meets modern metal down a dark alley on a darker night. 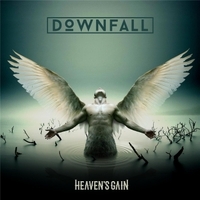 DownFall are one of the most exciting up-and-coming independent new bands on the South West UK scene. They work hard and play harder, delivering “in-your-face rock and roll” with swagger and style. Fusing old skool rock with modern rock and metal, Downfall deliver original material with powerhouse drumming, blistering guitars, gritty vocals and thumping bass lines. Think Black Stone Cherry meets Stone Sour meets Black Label Society down a dark alley on a darker night. Throw in a bit of Bullet and a little sleaze metal bite and you have DownFall.